Have you ever heard « every day is kids day »? Well, that is very true, especially during summer. Parents are driving their kids from one activity to the next, to the pool, to a friend’s house, a sports practice, etc. Luckily, there is a way to show your parents how much you appreciated what they’ve done for you. The fourth Sunday in July marks National Parents’ Day! Parents do it all. They bring us into the world, help us adapt, give us endless opportunities, make us food, take us to school, activities, and more. Because of this, Bill Clinton established National Parents’ Day in 1994. 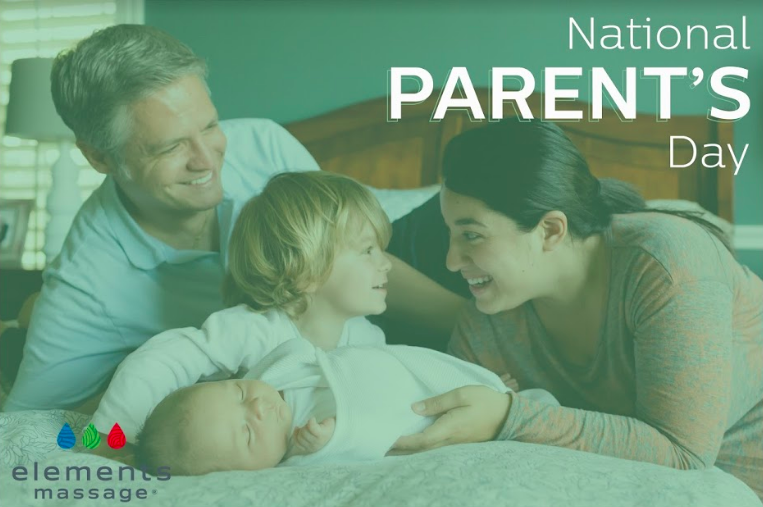 He wanted to recognize the uplifting and supportive role parents have; and ever since then, National Parents’ Day has been observed in the United States. While we try to show our parents how much we love and appreciate them every day, it is hard to match everything they do for us. That is why this day is the perfect time to go above and beyond to thank them for everything they do. But, what exactly can one do to show their gratitude? Luckily, we have some of our favorite ideas for you. Your parents have raised your family and brought you all together, now it can be your turn to try and do the same. Have a family dinner and cook for your parents or go out to dinner. Mix it up a bit as well, they may make dinner every day, why don’t you make a family breakfast so everyone starts the day off together. Bring some table topics to get everyone talking about their day or favorite memories. Another funny, yet thoughtful, idea is to make your parents lunch for the next day. They spent years sending you with pre-made lunches to school, why not do the same for them? Another great way to show how much you recognize their efforts is to make a memory book. Include pictures of family trips or family outings that your parents organized, and remind them about how much you loved it. Or host a game night for your whole family. Get everyone away from the TV and start talking and interacting by playing board games, favorite childhood games, outdoor games, etc. Whatever you choose, it gives you the chance to do more than sit in silence. Also, simple acknowledging all your parents have done for you can go a long way. Point out specific memories and what they meant to you. These are just a couple ways that you can incorporate into your National Parents’ Day plan. They may seem easy, but they can really show your parents how grateful you are. We would be no where without our parents, and we want them to know we recognize that! How do you like to celebrate and observe National Parents’ Day? Share some of your ideas with us on our Facebook page! Also show your parents how much you care by booking them massages for a time to relax. We offer 30 minute, 60 minute, 90 minute, and 2 hour massages as well as several different services. Whether they need an overall relaxing Swedish or deep tissue massage or want some soothing aroma therapy or hot stones, we have what they need. Book online 24 hours a day, 7 days a week. You can also call or visit our Whitefish Bay studio to book an appointment with someone during business hours. We hope to see you and your parents in soon!